3. A Black Rainstorm Warning Signal is issued. 07:00-11:59 Morning classes starting before 14:00 will be cancelled. 12:00-15:59 Afternoon classes starting between 14:00 and before 18:30 will be cancelled. 07:00 or before All classes will resume as scheduled. - Afternoon classes starting between 14:00 and before 18:30 will resume as scheduled. 12:01-16:00 - Afternoon classes starting between 14:00 and before 18:30 will be cancelled. 16:00 or after All afternoon classes starting at or after 14:00 will be cancelled. The classes fee paid is non-refundable and non-transferable unless otherwise specified: In terms of adverse weather arrangement, HKD800 will be refunded if one whole day of programme is cancelled. 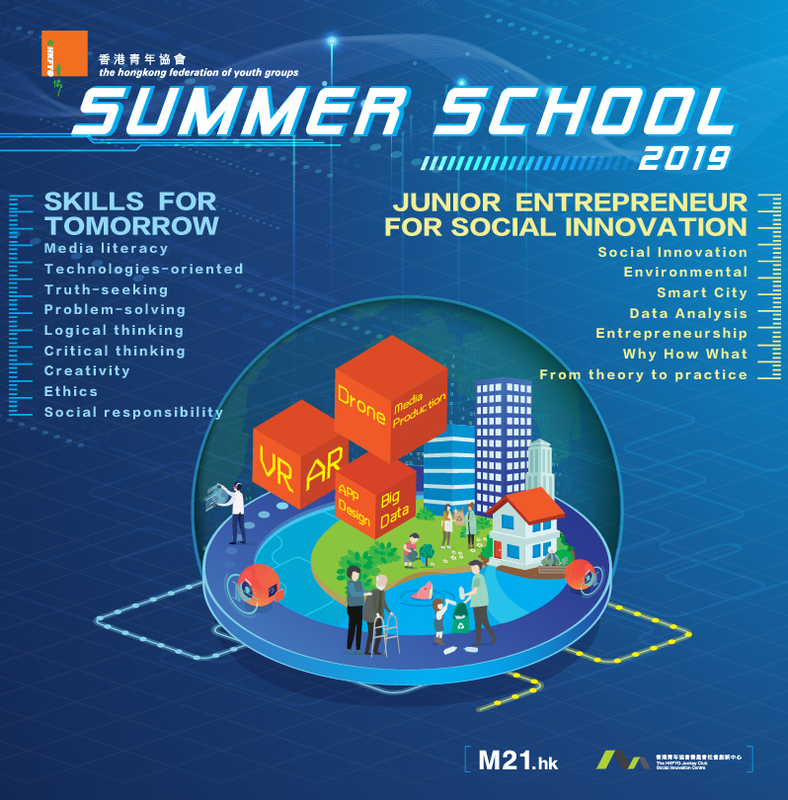 1. Who can join the Summer School – Skills for Tomorrow? 2. What is the medium of instruction? 3. Is it a must to attend the audition? Yes. Applicants must attend the audition. 4. What will be the format of audition? Applicants will be required to join a short individual interview. Applicants will be expected to demonstrate a motivation and team work. School academic results are not the consideration of audition. 5. Is there a scholarship? Participants from low income family can apply a full wavier (subsidy) of the prgramme fee.